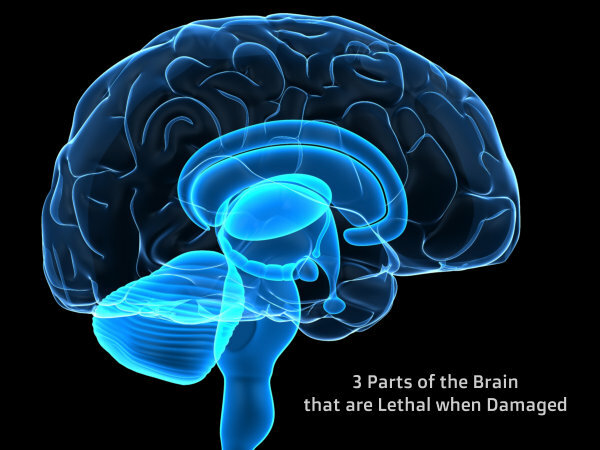 We all know that the brain is the control system of the human body. Our encephalon or brain with its medulla spinalis, or spinal cord and these central nervous tissues are all constricted to function as one. The Medulla Oblongata is formed by the wall of the hind-brain. It is pyramidal in shape. It is the continuation of the spinal cord within the skull, forming the lowest part of the brainstem that contains the control centre of the lungs and heart. As a part of the brain stem, it helps in transferring neural messages from the brain to the spinal cord. The functions of the medulla oblongata are involuntary, or are constantly done without interference. We would not be able to live if not for medulla’s task to control our blood pressure and our breathing. In brain surgeries, a surgeon should be extra careful not to damage any parts of the medulla because of the vital functions that it carries out. These are what directs the eye movements, generates head turns, arm-reaching movements and shifting of attention without movement that are formed by the mid-brain. It is the main integrating centre for eye movement. However, the tectum is not only for visual reflexes but also for auditory reflexes. Thus if the mid-brain is damaged, it will result to oculomotor disorders. The thalamus is a part of the fore-brain that is responsible for relaying information from the sensory receptors to proper areas of the brain where it can be processed. It diagnoses different sensory information that is transmitted to the brain that includes auditory, visual, tactile and gustatory signals. If the thalamus is damaged, Sensory Processing Disorder will happen. Sensory Processing Disorder (SPD) is related to autism, ADHD and Misophonia may happen because of the disruption of the Thalamus. Patients suffering from SPD will require a great deal of professional medical attention. If you’re a behavioural specialist waiting for a job, then wait no more because ATC Healthcare Services will provide you healthcare staffing in Philadelphia. ATC Healthcare Services offer various types of healthcare staffing in Philadelphia. Only ATC Healthcare Services can provide you the best employment opportunity with our expertise in healthcare staffing in Philadelphia. You can check out ATC Healthcare Services‘ website, www.atcphiladelphia.com for more information. This entry was posted in Health Care and tagged healthcare, healthcare professionals, healthcare staffing, nursing. Bookmark the permalink.